Sports Rendezvous: Joshua promoter Matchroom launches $1billion DAZN deal in US. Joshua promoter Matchroom launches $1billion DAZN deal in US. 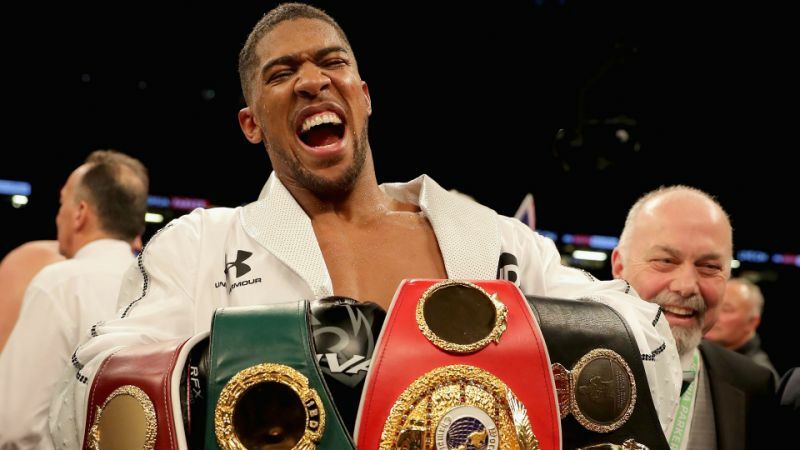 Matchroom Boxing, the promoter behind unified world heavyweight champion Anthony Joshua, has announced a $1billion broadcast partnership in the United States with global sports media company Perform. The launch of the joint venture, Matchroom Boxing USA, represents the biggest rights deal in boxing history. An eight-year partnership will see 16 fight nights a year staged in America, plus Matchroom’s existing 16 dates in the UK, shown on Perform’s live and on-demand streaming service, DAZN. "This is a historic moment for Matchroom and the sport of boxing," Hearn said at the launch event in New York. "Since our expansion to the US, we have been looking for a partner that shares our vision and that can give us the volume of dates and rights fees required to build the strongest stable in world boxing and take it to a new level. "This is a dream scenario for us, we can build a formidable team of fighters and also put our stamp on events from production, to talent and in-arena experience. Our plan is to make DAZN the home of boxing and with 32 big fight nights already confirmed from the US and UK we are nicely on our way.